Productive day so far. Meeting at work in the morning (will tell you more about this tonight), got home and took a PW, cleaned all my makeup brushes and now I’m waiting for my lunch to get ready before I need to go back to work for the night shift. Amazed I even have time for blogging! Guess this is what happens when you learn to get up early in the morning. Thought I would show you my outfit of the day, which I like quite a lot. Sweater from Topshop (the one that I bought the other day), my most used skirt from H&M, 80 den tights from DIM (new brand in our store that I’m getting to know). Love the red nails to ad a touch of colour. 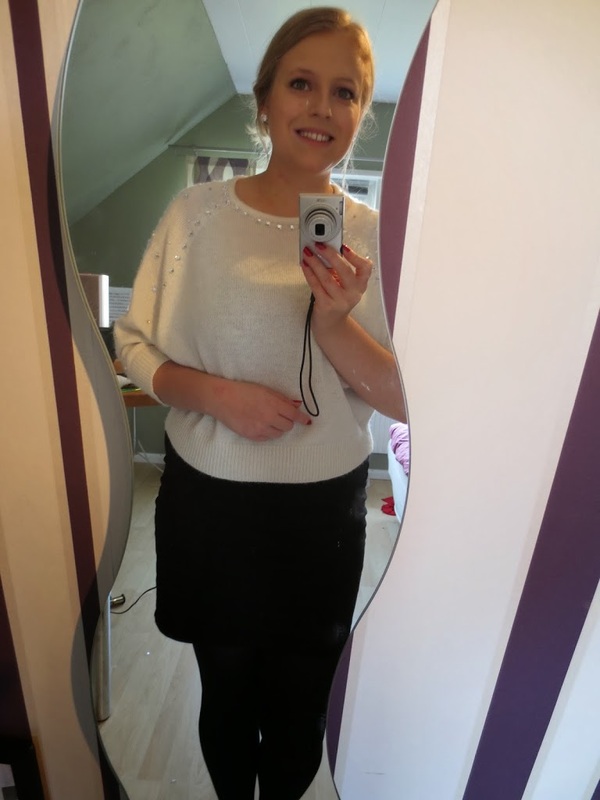 This entry was posted in Fashion and tagged DIM, H&m, OOTD, Topshop by Anna S. Bookmark the permalink.